On its face, this list is fine. You could easily argue that any and all of these deserve to be on a list of the wonders of the world. But this is the Seven Wonders of the World. This isn't some list of cool places people think other people should visit because, well, they're cool. This list needs to be the cream of the crop of worldly wonders. Frankly, this list doesn't reflect that. 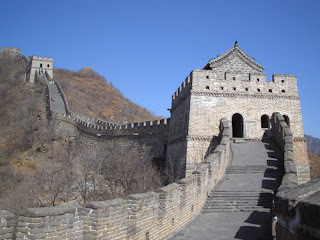 The Great Wall of China and the Colosseum are rightly on this list. 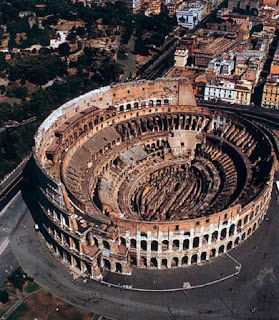 The Colosseum is the most prominent reminder of the scope of the Roman Empire, and the Great Wall -- a structure built by man -- is visible from space. Both are wondrous landmarks that deserve to be on an updated list of the Seven Wonders of the World, a list that needed updating because only one of the original wonders -- the Pyramids of Giza -- is left standing from the original list. It was stand to figure, then, that the Giza Pyramids would be on the new list. But they're not, and in their place is Chichen Itza. The Mexican pyramid is a wondrous achievement of human engineering. It's intricate, majestic and mysterious. It was on my list of what should be on the new Seven Wonders list. But so are, and so was, the Giza Pyramids. 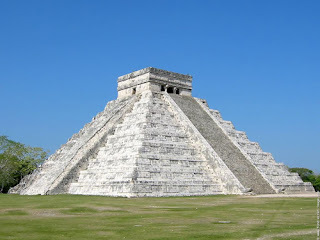 But why does Chichen Itza warrant placement on the new list and the Egyptian pyramids don't? Perhaps it's because people wanted a wholesale change in the list. Maybe geography had something to do with it -- Mexico is a lot more recognizable to Egypt to Americans. Then again, maybe the fact that there still is a sense of mystery surrounding it that has dissipated when it comes to the Giza Pyramids might have tipped the scales. Whatever the reason, it doesn't make excuse the oversight of the exclusion of the Giza Pyramids. The other four inclusions are similarly bizarre. 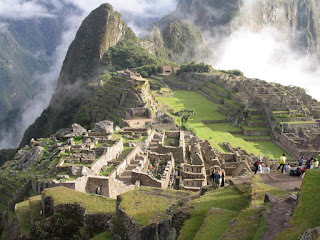 The Taj Mahal, Machu Pichu, and Petra are all beautiful footprints of humanity, but beyond being old and, again, mysterious (at least in the case of Machu Pichu) it seems like these were picked using the "beauty contest" mode of voting. 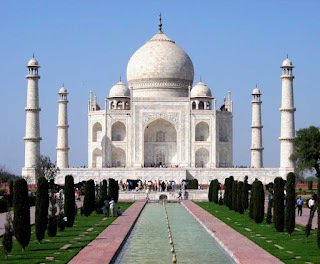 They are three of the most pretty structures on the list, and, at least in the case of the Taj Mahal, more is made of its glorious good looks than its historical significance. The final Wonder, Christ Redeemer, is simply baffling. 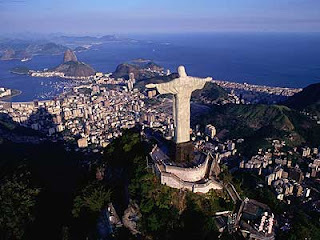 Yes, the statue of Christ perched high, high, high atop Rio de Janeiro, and yes a lot of people find much significance in it, but it isn't more important than the Easter Island statues or the Kremlin or Stonehenge. If the statue were lower to the ground, it wouldn't be as "wondrous" as its inclusion on this list makes it out to be. On the New7Wonders website, it says "Vote for Christ Redeemer because it stands for -- Welcoming & Openness!" By that criterion, the Statue of Liberty is far more deserving. The site also says it stands as a symbol of the city. By that estimation, the Eiffel Tower is more recognizable as the symbol of its city. How it got onto this list is a mystery far more intriguing than this monument. Lists are inherently controversy-starters. The New Seven Wonders of the World isn't different. But unlike most lists, this one is a bit more of a head-scratcher thanks to some inclusions made, seemingly, by a voting base choosing sites based less on what this list is supposed to represent and more on base popular opinion.